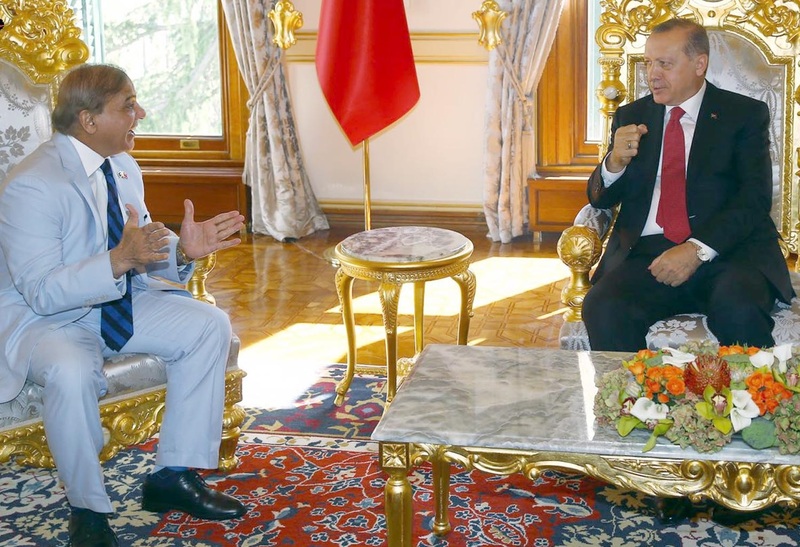 Punjab Chief Minister Muhammad Shehbaz Sharif called on Turkish President Recep Tayyip Erdogan in Istanbul, according to an official handout issued after the meeting. The Turk president also enquired about the health of Begum Kalsoom Nawaz and prayed that may Almighty Allah recover her soon. Talking on the occasion, Shehbaz said that he was thankful to the Turkish government as well as President Erdogan for his warm welcome. “Pakistanis are proud of their friendship with Turkey,” he added. In recent years, the solid cooperation between the two countries in different sectors has given new dimensions to this friendship; while the future will further boost Pak-Turk friendship. “Pakistan and Turkey have always sided with each-other and they will also be standing side by side in every situation in future, as well,” he said. He said that the projects initiated in cooperation with Turkey in the Punjab province have helped to improve the quality of life of the common man. He said that the Turkish leadership has set a unique example of public-service with their performance. “We are especially thankful to Turkey for its cooperation in wastewater treatment, transport and solar energy sectors,” he said.